An emissions test is an examination of the level of hazardous materials that are produced and discharged into the environment by a motor vehicle with a combustible engine. In Ontario, some cars, trucks, vans, buses, and other motor vehicles need to pass something called a Drive Clean test in order to be officially licensed to drive on the roads. The results of a Drive Clean test will establish if your vehicle meets the Ontario emissions standards. If your vehicle does not pass the test, it is not legal to drive in on the road. Where can you have a Drive Clean Test done on your vehicle? If you are looking to have an emission test done on your vehicle in the Brampton area, you will need to go to a Drive Clean test station that has been authorized by the Ontario Ministry of Transport as well as the Ministry of Environment and Climate Change. The Valvoline Express Care Center in Brampton offers a fully certified Emissions Testing Center authorized by Ontario standards. Why Choose Valvoline Express Care? Valvoline Express Care Brampton is made up of a team of professionals dedicated to excellent customer service with a customer first mentality. 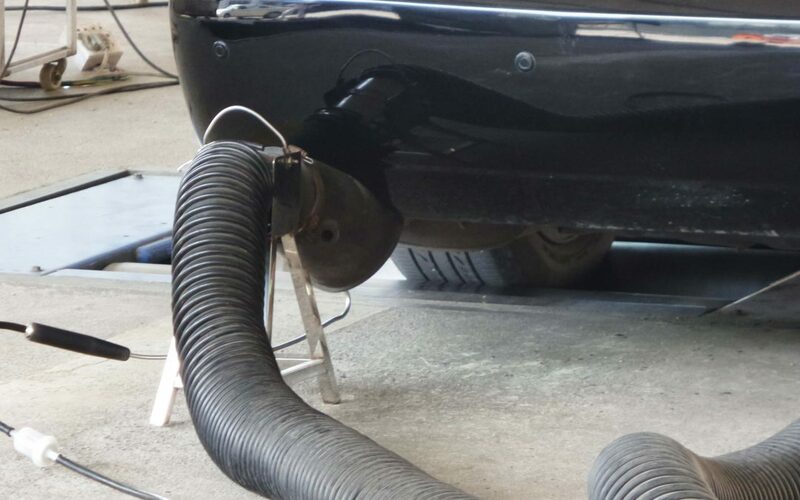 With over 20 years experience in the automotive industry, they have cultivated and polished the emissions test process to make it as quick and easy for the customer as possible. When you have an emissions test performed at the Express Care centre, you will earn points and discounts off other services simply by downloading the app. Before the emissions test even gets underway, the professionals at Valvoline will perform and pre-test to make sure there are no issues that would result in a test failure. Not only are the staff at the Express Care centre highly trained and experienced, the equipment they use for testing and other services is first-rate. After the pre-test has been completed, and there are no observable issues with your vehicle, the emissions test can begin. The first step is to examine your vehicle’s on-board computer diagnostic system. This system is in charge of tracking the engine and emission system of your vehicle. This information is analyzed to determine if Ontario emissions standards are being met. If no on-board diagnostic system is available, a tailpipe test will be carried out. This test will assess the levels of carbon-monoxide and hydrocarbons that are being produced. This is also known as a two-speed idle test. How Often Should Emissions Tests Be Performed? When you get your vehicle’s registration renewal forms sent to you, you will be informed at that time if an emissions test is needed. You can also do an online search using your Vehicle Identification Number (VIN) here. If your vehicle is 7 years old or more, the general rule is to have an emissions test performed every two years.